Last month's bird walk, led by Dave Quady and me, was a quiet affair—only fourteen species were observed over six hours of birding (minus 90 minutes for breakfast). That's an all time low for our winter bird walks, likely due to lack of rain (only one significant rainfall since spring) and strong dry winds the preceding week. Nevertheless our group of birders—four for the early morning owl walk and six for the after breakfast bird walk—enjoyed each others' company while we waited for the sun to come out and listened for the birds to show up. In the meantime we had a chance to look through Dave's pocket field guide, Birds of Northern California (Dave is lead author with three co-authors). In addition to being an avid birder, Dave has taught owling classes and led field trips for Golden Gate Aububon. 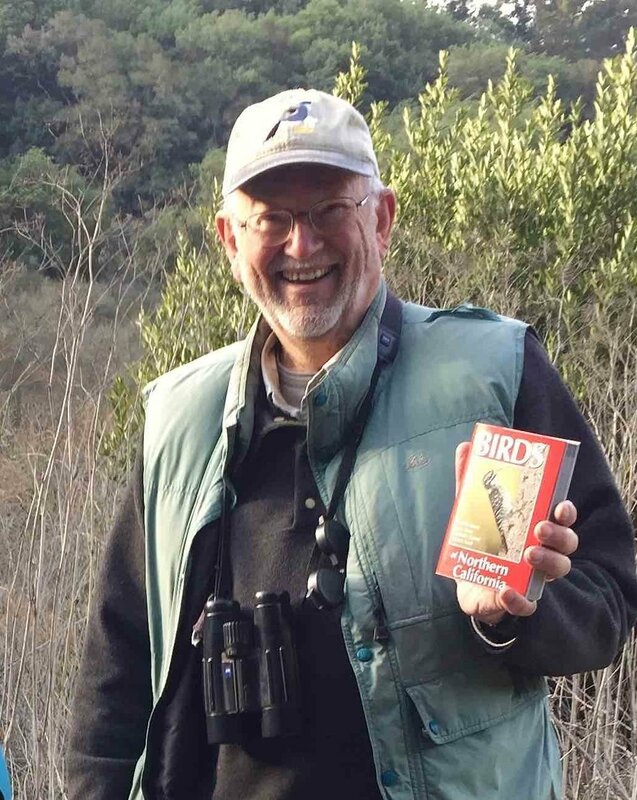 He has also co-led Audubon's Oakland Christmas Bird Count in Claremont Canyon for more than twenty years. Prior to the official date of the count, Dave and I take Conservancy members out for an early look at the current year's winter birds.